And you thought endangered species couldn’t get more vulnerable. In the spirit of summer love, High Country News imagines online dating from the perspectives of some of the West’s rarest species. Our conclusion? The next time we’ve had a rough go at romance, we’ll consider the bright side: We’ve still got several billion potential mates out there. I’m a sleek swimmer who loves chasing fish with her friends. I’m hoping for a partner who enjoys exploring the warm desert waters of the northern Gulf of California as much as I do. But let’s be realistic here: Since fewer than 30 of our kind remain in existence, I’m down for a first date with any male vaquita who’s not my cousin Daniel. Some call me vaquita, some call me cochito, some call me Gulf of California harbor porpoise, some call me clickclickclickeeeEEEE. I don’t care what you call me… if you think this could work, just call me! Hi, I’m one of fewer than 100 Devils Hole pupfish, and I’m proud to call our small Nevada oasis home. It almost crushed me when those drunk bozos trashed our pool last year – literally. I was hatching and one almost stepped on me. I’m female, silvery with dark stripes. My dream pupfish is a blue guy with a yellow tail, who enjoys gnawing algae from the ever-popular limestone ledge. If you can handle the heat of a Mohave desert pool, love swimming in salinity that would make other fish crawl onto land and run away, and don’t mind treading water in famously low levels of dissolved oxygen, let’s get together and splurge on some snails. Just a quiet guy who enjoys cool misty mornings on the edge of a giant collapsed extinct volcano. I’m trekking through the pine needles, looking for love and larvae. I haven’t seen another Jemez Mountains Salamander in a few years, so I’d be excited to meet a gal who’s ready to connect over some termites and who might even drop some eggs in a rocky crevice, after I’ve crawled back under the rotting piece of wood I call home. Male Yosemite toad here, looking to meet a lady friend near my favorite high mountain lake. When I’m not hunting for beetles or wrestling centipedes, I saunter on over to a sunny basking spot – I’ve never been much for hopping. When love’s on my mind I get right in the lake and sing my heart out. I may be small but I am great at wrapping around you and holding on tight. Let’s not waste any time; before you know it, winter will be here and I’ll be snuggled up in the entrance of a deer mouse burrow again, dreaming away the snow. You’ll recognize me by my unusual yellow color – all the other paintbrushes grow in reds, oranges, even pinks. I’m a golden paintbrush and I’m not the most social species on the Washington prairie; I’m more of a homebody. In fact, I’m pretty well rooted in place, but if you send me a bee, I’ll share some pollen and some nectar. It’s an old family recipe we’ve been perfecting since the last Ice Age. If you enjoy smelling flowers on a gentle spring breeze that’s tickling your whiskers as you slink through grass on your belly and clobber prairie dogs, we’ve got something in common (other than, let’s be honest, a lot of DNA). This male black-footed ferret is hoping to find a lady love who’s in the mood. I know you’ll only want me around for a few days and that’s fine; I prefer my space – like, acres and acres of space – too. I’ve never had the plague but I can tell you some stories about a bobcat who stalked me a couple of years ago. Hey, any Kanab ambersnails looking for love? 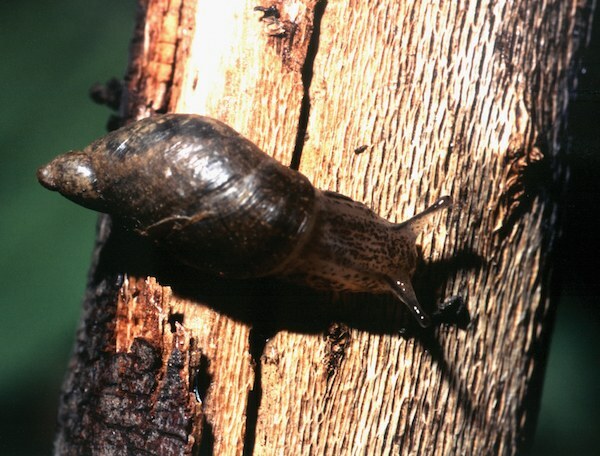 I’m a glossy gastropod, flatworm free, half an inch long from spire to operculum if you’re wondering. I’m living in a spring on the Colorado River in the Grand Canyon, enjoying life, staying cool, exploring the algae. Actually, I’m also hermaphroditic and I can fertilize myself. Go away. Note: This article has been updated to reflect that golden paintbrushes are primarily pollinated by bees.